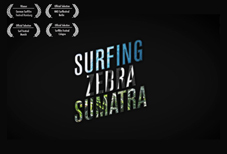 Nti Sheeto (Knee-sheet-o) is a surf film illustrating the contrast between the psychedelic and magical natural wonders of Indonesia with the surreal and demented trappings of it’s darker nighttime street culture. We love Indonesia for all that it is and this is Dion Agius‘ film opus to the region. Starring Ozzie Wright, Dion Agius, Creed McTaggart, Thom Pringle and Warren Smith.